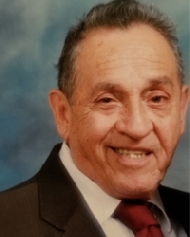 Odilon Leon Huerta obituary. Carnes Funeral Home. Abuelo Carlos and abuela Luz, along with your sisters and your brother and the other family members . Your presence is always with us. Papa, you are in our hearts. Odilon Leon Huerta was truly one of a kind, just ask anyone who knew him they will all agree. He was born to his parents Carlos and Luz on January 1, 1926 in Tulancingo, Hidalgo Mexico. He was the youngest of his siblings Carlota, Guillermina, Juana, and Raymundo. Being the youngest of the family encouraged him to be an adventurous young man. At an early age his entrepreneurial spirit was being molded for all to see as he joined the work force helping the Regina neighborhood butcher in Mexico City. While living and working in his neighborhood he would become friends with The Rosales brothers not knowing this friendship would lead him to some of his biggest adventures. His friendship grew stronger with the Rosales family as they were growing up and following their many passions together, which led him to Bullfighting with Rodolfo. They shared the dream of being the main event in the fighting arena and that’s when Matilde Rosales became intrigued with Odilon. While he was coming into his own in the bullfighting ring he was also discovering several passions that would lead him to whom he would become in the future. Odilon worked his way up through several positions at the Excelsior newspaper, he loved being behind the scenes to the publication of the cartoon section. He was passionate about mastering the art of typographer, typesetter, printer and pressman all while dreaming of owning his own printing press one day. He shared his many dreams with his love Matilde and their relationship grew into a beautiful union as husband and wife on January 1, 1950 at Santa Teresita Church in Mexico City. With the blessing of this union came the birth of their daughter Soledad Maria Elena (Helen). Wanting more for his new growing family Odilon made the decision to go with his brother in laws to the United States to search for a better future. Chicago Illinois would be where he laid down his roots along with his brother in laws. They all tried their hands at many trades but the steel mills were where a secure career could be had in those days. While working the mills during the day he furthered his skill set by attending welding school during the evenings. This was quite a feat learning a new language all while surviving what seemed to be Chicago’s two seasons’ summer and winter. By this time he had sent for his wife and daughter to come live in the United States with him. Shortly after graduating welding school the Huerta’s welcomed their second daughter Dulce Maria Elizabeth. He made his way to becoming an arc welder for Electric Motors Division at GM and also opened up a neighborhood printing business named America Press. His dreams had come true; having a wonderful family and a career that would assist him in sending his daughters to college. All of his struggles had paid off as he saw the fruits of his labor and could only wonder where his future would take him next. His daughters grew up to have careers in the airline industry, Helen married Chris Storrs and Dulce Maria married Alan Matejka. Just when Odilon thought life couldn’t get better he was given the gift of grandchildren Jeannette and Joseph Grigas, he enjoyed helping raise them as his own children. Jeannette grew up to marry Oscar Trevino Jr. and made Odilon a great grandfather to their five beautiful children; Daniel, Robert, Adam, Edward and Ariel Trevino. Joseph also married and made Odilon a great grandfather with Hayden and Ava Grigas. He enjoyed his retirement years watching his great grand children grow up and teach them all the skills he had learned throughout his life. He would be blessed again with the birth of his great great grand children Isabella Marie and Jaxson Trevino. Odilon departed us November 2, 2018 on his greatest adventure yet but he left having taught us how to be hard working, courageous, loyal, respectful, responsible, honest, and disciplined. He encouraged us to dream big ,to be a man of your word and to always remember people can’t take away your uniqueness, passion, determination, hope, character, how you feel about yourself, your ability to spread love and kindness but most of all no one can take your knowledge and life experiences. We are left with many memories to fill our hearts till we see each other again, love you Odilon, papa, grandpa and peepa.